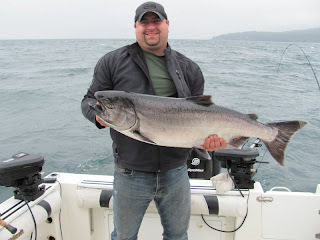 Gord from Foghorn Fishing Charters reports on his Sooke fishing this week: "The pinks are here! 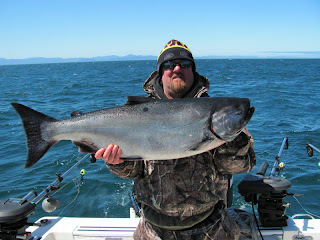 Spring salmon fishing is good and there are some hatchery coho around. We will only be getting more as we go more into summer". Here's two happy guests with some big chinook salmon. Despite some rainy cool weather, the seas are calm and there's good fishing to be had. Get out there and drop a line!